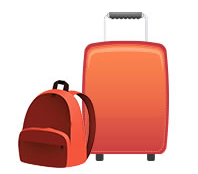 My Baggage offers reliable and affordable luggage delivery for students in Manchester. If you’re going to Manchester to study, My Baggage can give you some much needed help with the big move. My Baggage is the No.1 Student Shipping Company for The University of Manchester and Manchester Metropolitan University. Every term, we help thousands of students send their belongings to and from university quickly, safely and cheaply. If you’re travelling to Manchester by plane, we’ll save you money on extra airline baggage charges. If you’re taking the car, boat, bus or train, we’ll save you the hassle of carrying heavy suitcases and boxes on your journey. 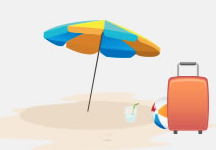 With My Baggage, each item you book can weigh up to 30kg and prices start at just £16.99. That’s double the weight that airlines allow, for HALF the price. All you do is book online, which takes just a few minutes. Then we’ll send you labels to print and attach to your luggage. After that we’ll collect your luggage and deliver it to where it needs to go. Simple! We provide full online tracking as well as text and email notifications to keep you updated on the whereabouts of your luggage. If you are at home, or living in a student house or flat, your suitcase or box will be collected straight to your front door. If you are in university halls and need your luggage collected from there, we can not deliver directly to your room for security reasons. However, both Manchester University and Manchester Metropolitan University will have a designated post room or reception area where luggage is usually collected from. Please find out where this is before placing your My Baggage order. Again if you’re in a house or flat, your luggage will be delivered straight to your door. And if you’re in halls of residence, your luggage will be delivered to the university’s post room or reception area. Please check with your university. Manchester is one of the UK’s most metropolitan cities, and its universities welcome students from all around the world. 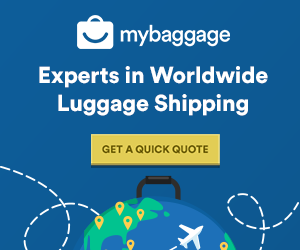 To help make things easier for these international students, My Baggage offers international student shipping to 200+ countries worldwide, with great low costs and super fast delivery times.